Bringing skilled people together to continue the tradition of excellence in development for over 25 years. Located on historic McGregor Blvd, Carleton Estates offers rare half acre homesites in a nostalgic neighborhood setting complete with brick street, sidewalks, traditional lighting and streetscape. The Renaissance lifestyle is one unlike any other. With an award winning clubhouse, Renaissance also offers home sites as well as coach homes and custom single family homes by the area’s finest builders. 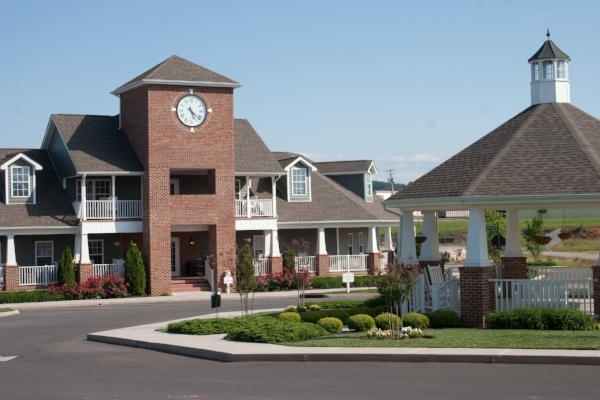 Willow Creek is only all inclusive neighborhood in Sweetwater, nestled in the valley of the mountains of East Tennessee. Featuring miles of landscaped sidewalks, an outdoor amphitheater and more. Since our first land acquisition in 1988, The Worthington Group has known that success is built on "promise equals performance" and every member of the organization must be committed to a "top down" obsession with developing and delivering an exceptional product second to none. We believe that the only way to succeed in our highly diverse competitive business is to provide more service to our clients than could be obtained elsewhere. Operating with honesty, integrity and unmatched professionalism has been the cornerstone of our success. We invite you to take a look inside at the many diverse opportunities to work with The Worthington Group and join us as we continue a "Tradition of Excellence”.